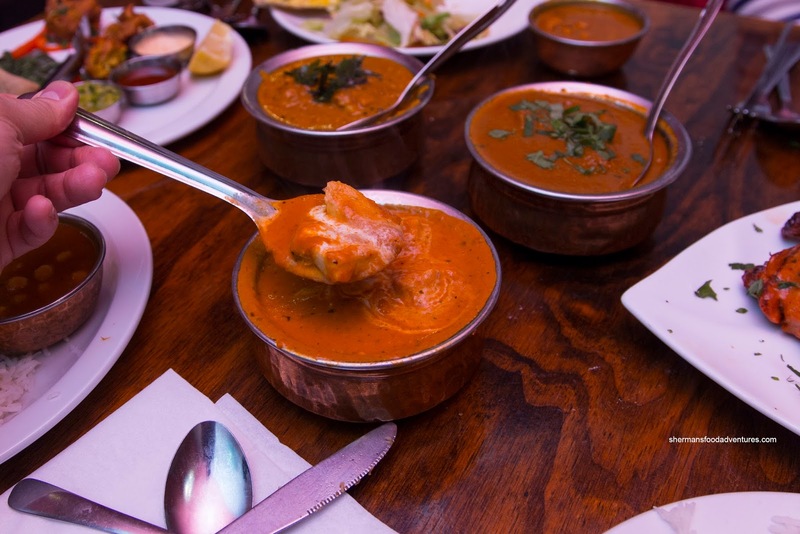 When one is looking for Indian food, the most obvious places are Surrey and Vancouver. With that being said, Surrey does have the best selection of Indian food in the Lower Mainland. However, I have had decent Indian eats in Langley, Ladner and even Port Moody. So there are gems to be found if one was willing to look for them. Sometimes, the best way to do that is to read other blogs, check out IG or surprisingly, buy a Groupon. Yes, I've had some pretty good experiences with a coupon even though some might be weary of taking the risk. 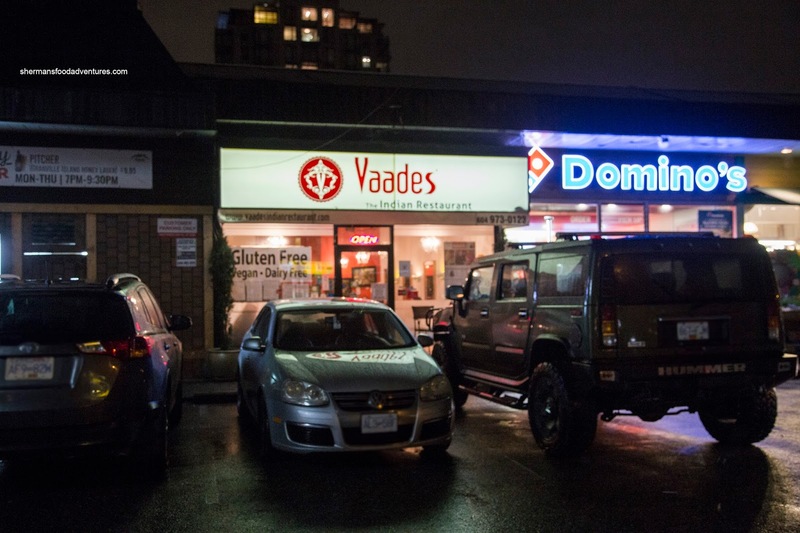 For our latest food adventure, it brought us out to North Vancouver in the form of Vaades Indian Restaurant. Funny how I totally didn't even notice the spot even though we had dined next door just last year. So with our deal, we started out with 2 appies including the Appy Platter consisting of 2 veggie samosas, potato fritters and mogo served with mint and tamarind chutneys. I thought the fried cassava was the highlight as it was crispy while being tender. We weren't fans of the fritters as they were super dense. 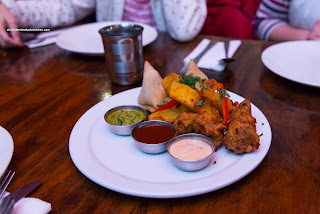 Veggie samosas were lightly spiced with soft potatoes but the exterior could've been fried a bit longer. Our second appie was the Crispy Prawns scented with curry leaves, garlic and chilli paste. These were crunchy while having a sweet snap. This was a real treat, especially dunked into the jalapeno cream sauce. 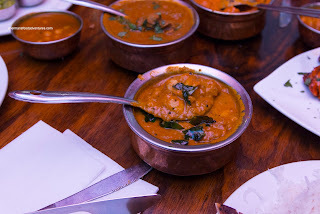 For our mains, we had the usual Butter Chicken partly because it is a standard and more importantly, the kiddies wanted it. With that in mind, we asked for all of our dishes to be prepared mild. Despite this, the butter chicken still had a slight spice to go with the creamy sweetness. I found the balance between tomato and cream to be just right. The large chunks of chicken breast were tender and remained moist. Personally, I had to order the Lamb Roganjosh and it was more or less decent. I found the lamb to range from tender to a touch dry. However, the sauce was impactful with definite hits of ginger and cloves. There was depth-of-flavour even though we asked for mild. To get a different protein into our meal, we also had the Coastal Fish Curry sporting large pieces of basa. Say what you want about basa, but it went well with the creamy coconutty curry. It was robust enough to stand up to the spices while being tender and buttery enough for a great texture. 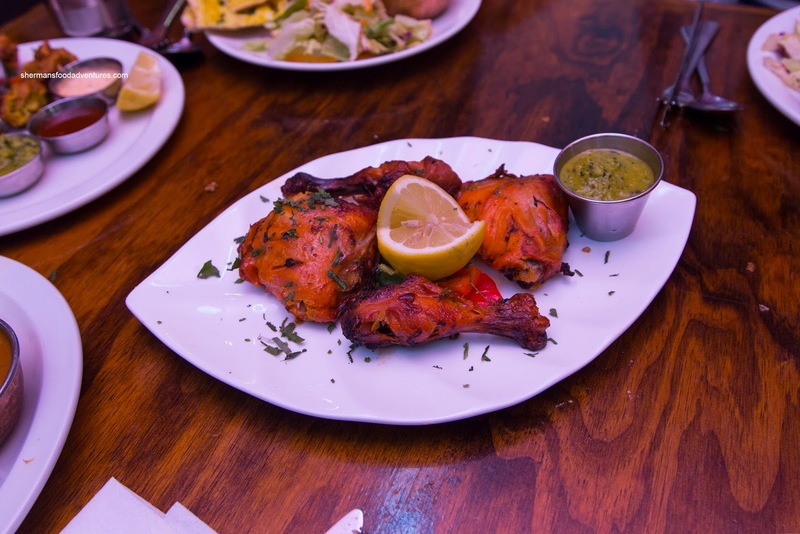 Getting away from curry and saucy plates, we added the Tandoori Chicken as our last savoury item. We would've liked to see more charring and smokiness, but the chicken itself was succulent and almost juicy inside. That is somewhat of a rarity where we normally find dried out versions. It was lightly spicy while fully seasoned. 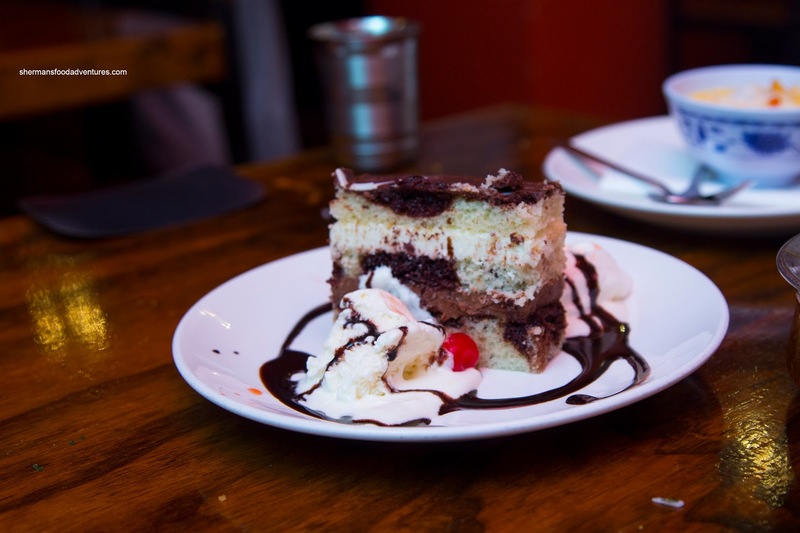 As for our dessert selections, we started with the traditional Indian Chocolate Cake. No I'm kidding... LOL. Yes, it really doesn't go in an Indian restaurant, but the cake was moist and actually pretty good. Not sure if they made it in-house or not, but it worked. 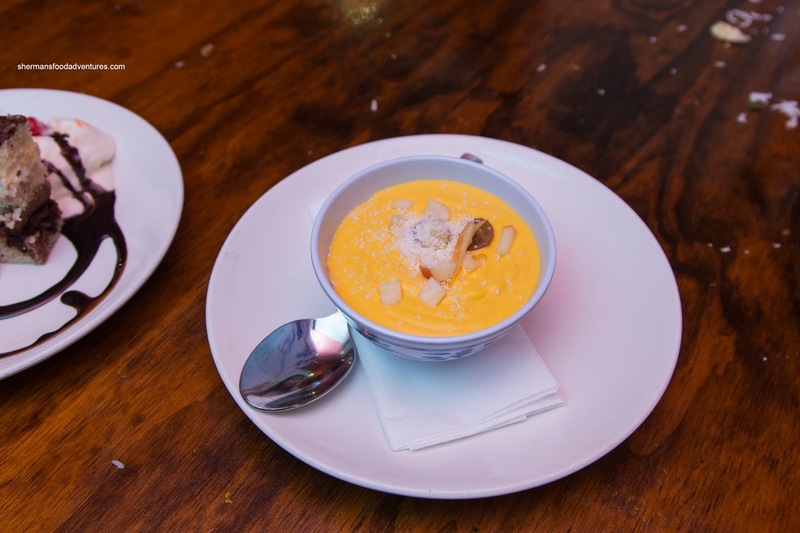 For something more suited to the theme, we tried the Fresh Mango Mousse which was creamy and semi-sweet. It was only lightly mango-tasting though. The bits of apples and grapes were a nice treat to break up the monotony. 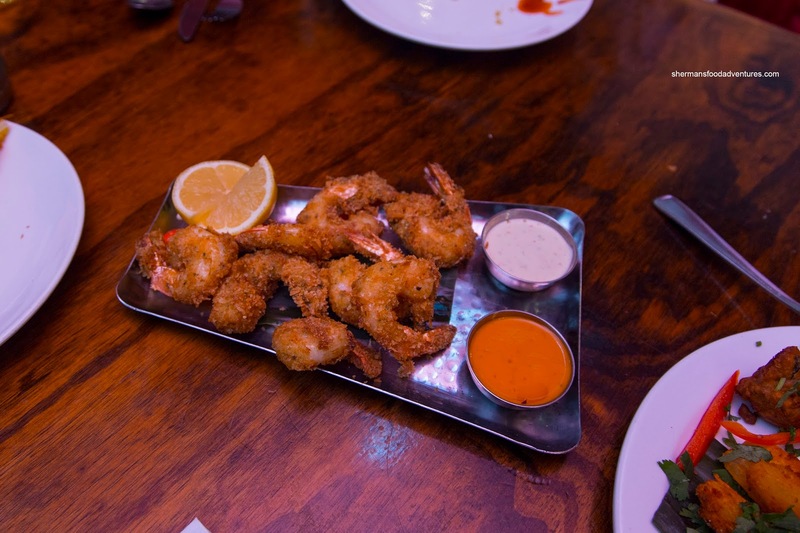 Overall, we thought the meal was rather pleasant and a fantastic value due to the Groupon. However, there are other discounts offered by the restaurant itself on their website. Therefore, if you consider the quality and service, Vaades is a decent option for Indian on the North Shore. 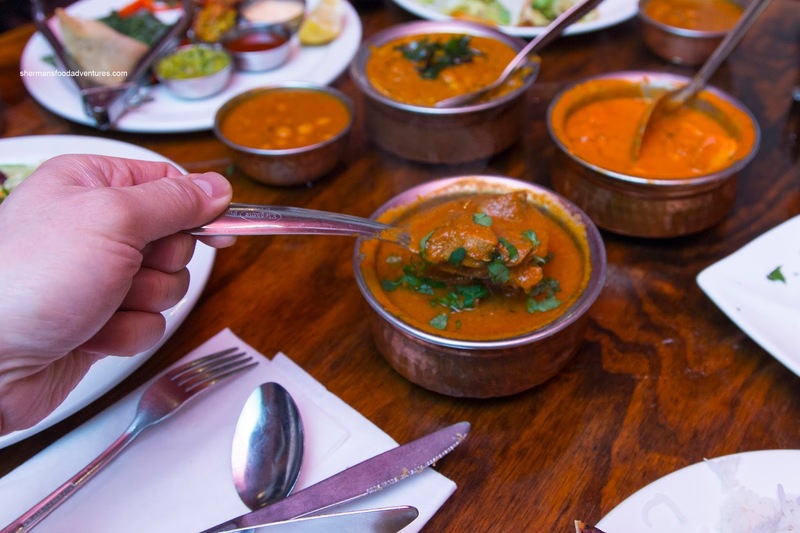 what's your favorite indian place in the lower mainland, sherman? how about burnaby in specific as well (my stomping grounds)? thanks for the posts. i read all the time. @David Kloepfer I like Mirch Masala on Scott Road in Surrey. If you have a chance, you should try it! As for Burnaby, I don't mind Agra. Thanks for reading!! !